Bad Credit Car Loans & Bad Credit Auto Leasing near Mississauga | Ezee Credit Leasing and Sales Inc.
At Ezee Credit, we make it easy for people with poor credit in and around Mississauga, Ontario to get a quality used vehicle. That starts when you first apply for a bad credit car loan or lease. We've designed our online application to be quick, simple and secure. Within one business day - or less - an Ezee Credit Automotive Credit Specialist will contact you directly. We recognize that every individual's situation is unique. That's why we provide a personalized approach. Your Ezee Specialist will work with you and guide you through the process of getting an auto loan or lease - regardless of your credit. They'll answer your questions and help you get a great used car, crossover, SUV, minivan or truck from our excellent selection at financing you can afford. We put our years of experience to work for you by carefully assessing which lender and bad credit car loan or lease makes the most sense for you. 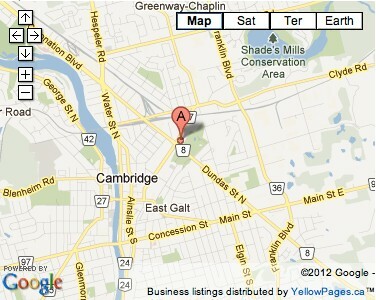 Our location in Cambridge, Ontario is only a short drive from Mississauga. Some customers choose to complete much of the process remotely and come to Cambridge when they're ready to choose from our inventory of quality used vehicles - or pick their car up. We work with you to make the process easy, and ensure you get the quality vehicle you're looking for on terms that are right for you - regardless of your poor credit situation. Get started today with our online application. Ezee Credit is Ontario's trusted source for bad credit car loans and leases, so you've nothing nothing to lose - and everything to gain.